In case you missed it, since I only mentioned it briefly, I got married in June 2017. Despite the fact that we planned it with almost a year before, it was still a stressful time. I lost count how many times my then-fiancee and I had arguments. The only thing we didn't fight about, is my wedding dress. I'm not one of those girl who you know, had her whole wedding planned out in some kind of a scrapbook. To be honest, I wasn't sure if I ever going to get married. But anyway, for my wedding, I always want to wear a ball gown wedding dress. 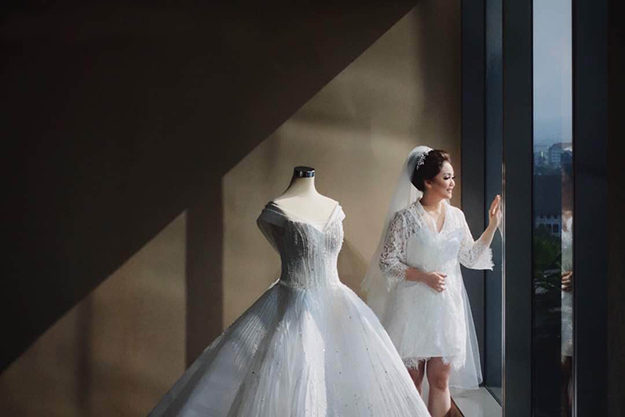 Today I team up with Milly Bridal to bring you some beautiful wedding dresses selections so you can be a belle on the wedding ball of your dream. 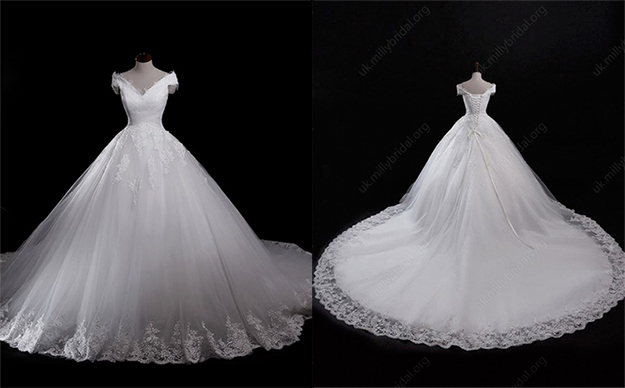 As I mentioned before, I always want to wear a ball gown wedding dress. Mostly because you can't really wear a ball gown in any other event unless you're a celebrity, maybe. Another detail that I love is lace wedding dresses. I'm a sucker for lace and I'm pretty sure everybody who knows me aware of that. 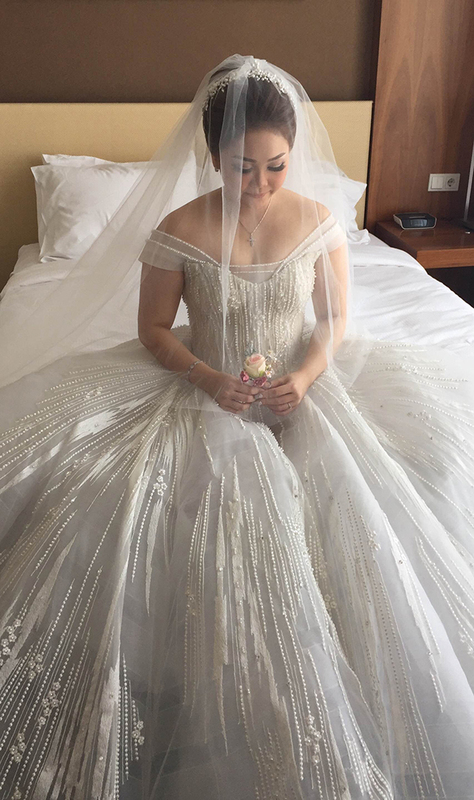 My wedding dress is a custom made, including the beaded lace, all individually hand sewn. Not gonna lie, my wedding dress cost a pretty penny but you can find a similar silhouette from MillyBridal with a fraction of a price. This Tulle V-Neck Ball Gown also has that sweetheart neckline with lace detailing. Although not beaded, I think this one is beautiful. For more options of gorgeous wedding dresses, do not hesitate to visit Milly Bridal and browse around. They can custom size and custom colour your dream dress. Thank you for reading and wishing everyone a productive Monday ahead!